Designed to highlight, educate and inspire current and future leaders in all capacities. Designed to connect and expand local businesses. Designed for startups, existing businesses and all others seeking to further their skills or knowledge. Designed to support, advocate and encourage philanthropic efforts. The best way to grow your business is via networking and relationships. 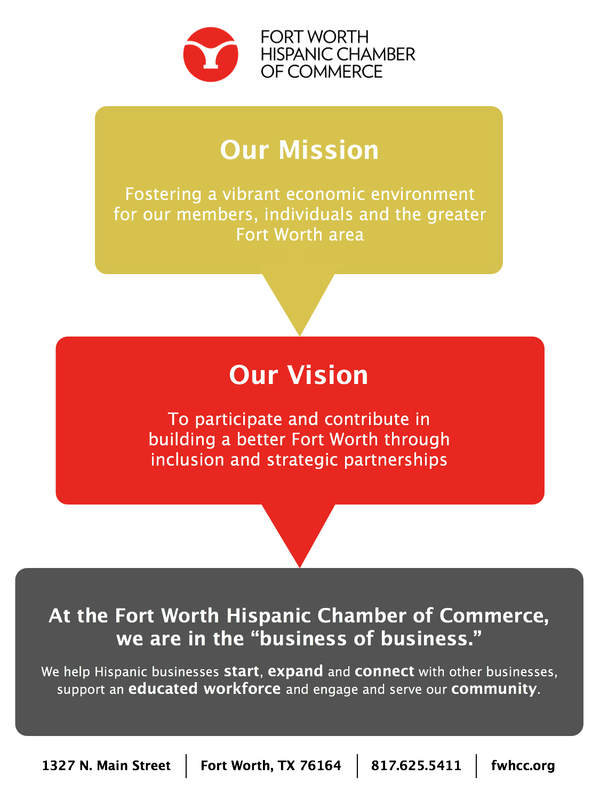 The Fort Worth Hispanic Chamber of Commerce programs are designed to foster a vibrant economic environment for our members, individuals and the greater Fort Worth area. Learn more and join today!